Ready to get your party on in Germany soon? 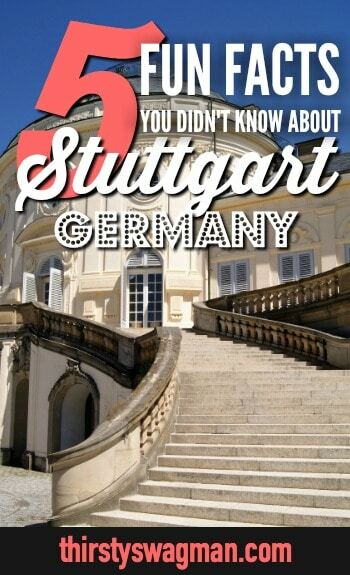 While Berlin, Hamburg, and Munich typically get all the love — er, the most visitors — may we humbly present an alternative option for your travels: Stuttgart, Germany. Never been there? Don’t write off Stuttgart, Germany so fast: the capital city of the state of Baden-Württemberg can truly hold its own. Here are five things you probably didn’t know about Germany’s sixth largest city. Attention, beer nerds: Stuttgart hosts Europe’s second largest beer festival. 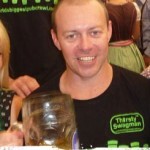 If you’re a Thirsty Swagman fan, we’re guessing you love beer as much as we do. So you’ll be pretty pumped to hear that Stuttgart is home to Europe’s second largest beer festival, right after — you guessed it — Oktoberfest in Munich. 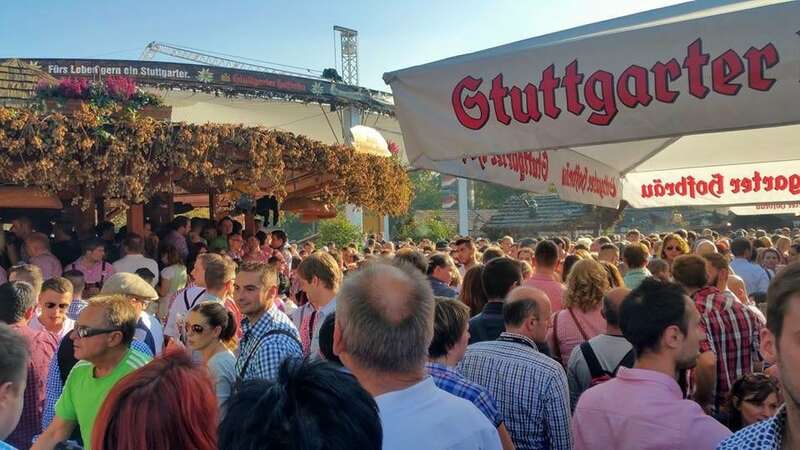 First held in 1818 as a harvest thanksgiving celebration, the Stuttgart Beer Festival (also referred to locally as Cannstatter Volksfest) attracts over 4 million people per year. It’s three weeks of carnival rides, live bands, and beer guzzling in seven beer tents for your festival-going pleasure. This year’s festival takes place from September 28 – October 14, meaning it starts a week after Oktoberfest. If you’re extra thirsty and ambitious, why not hit up both? #Beergoals, am I right? If you can’t make the Stuttgart Beer Festival in the fall, however, fear not: there’s actually a Spring Beer Festival that’s a little bit smaller, too. Prost! Porsche and Mercedes-Benz are headquartered here. If you love cars, you’ll be in heaven in Stuttgart, Germany: the automobile and motorcycle were allegedly invented in this German city. Can’t get enough of your automotive desires? Why not stay at Stuttgart’s V8 Hotel, where its themed rooms (think British Racing, Route 66, or Drive In Cinema) will carry your car-laden dreams from day to night. Speaking of which, Stuttgart, Germany is also home to the world’s largest Pig Museum. Schweine Museum Stuttgart, also called the Pig Museum, is a quirky museum located in an old slaughterhouse. With 29 themed rooms and over 50,000 different pig artifacts, there’s bound to be something for everyone — whether you like bacon for breakfast or have a stuffed animal of Piglet from Winnie the Pooh in your childhood bedroom. Don’t miss the Piggy Bank Room and the “naughty” red room — or, if you just want some grub, head straight to the café and restaurant for some pork knuckles and delicious beer. Just be sure to not hog all of that tasty food from your travel companions! It’s the only city in Germany with a municipal wine estate. You may have beer on your brain initially, but you’ll soon notice that there are vineyards in the center of the city, too! Wine-growing in Stuttgart, Germany can be traced all the way back to 1108 — yes, you read that correctly — when a monk gave vineyards as a gift to one Blaubeuren Abbey. (Where can we meet one of these monks who has a whole vineyard to give away, huh?) In fact, wine was the city’s top source of income up into the 1800s. Currently, Stuttgart, Germany is still one of the largest wine-growing cities in the country, and it turns out that one of its vineyards is owned by a governmental department, the IHK (meaning Industrie- und Handelskammer Stuttgart, or Chamber of Industry and Commerce). The vineyard and villa came into their hands right before World War II erupted; though the IHK had other plans for the land, the chaos of war interrupted. Today, the IHK has 17.5 hectares, or 43.2 acres, of municipal vineyards in six locations. Stuttgart has stairs, stairs, and more stairs. Stuttgart is chock full of hills, and those hills are alive…with vineyards! Vintners originally built these stairs and paths to be able to access the steep terraces everywhere. Thanks to these folks, you can easily exercise off all of that beer and vino you consumed for the last three weeks — for free. Great drinks and no need to pay for a gym membership? Stuttgart, Germany here we come! Ready to explore Stuttgart’s beer, wine, and museums? 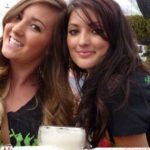 Claim your spot on our Stuttgart Beer Festival tour for oodles of thirsty fun! Hey! I'm Julianne, proud Californian but living the wine life in NYC. 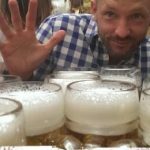 I'm a former research analyst turned writer who blogs about travel, cocktails, wine, and beer at It's Five O'Clock Here. Connect with me on Facebook, Twitter, Instagram, and Pinterest. All the world's a stage; don't wait in the wings.